Can networking make you famous? Build your reputation as an awesome expert? Create buzz about how cool you are? Absolutely...if you know how to network like a rock star, so GET READY for your time in the spotlight, baby! 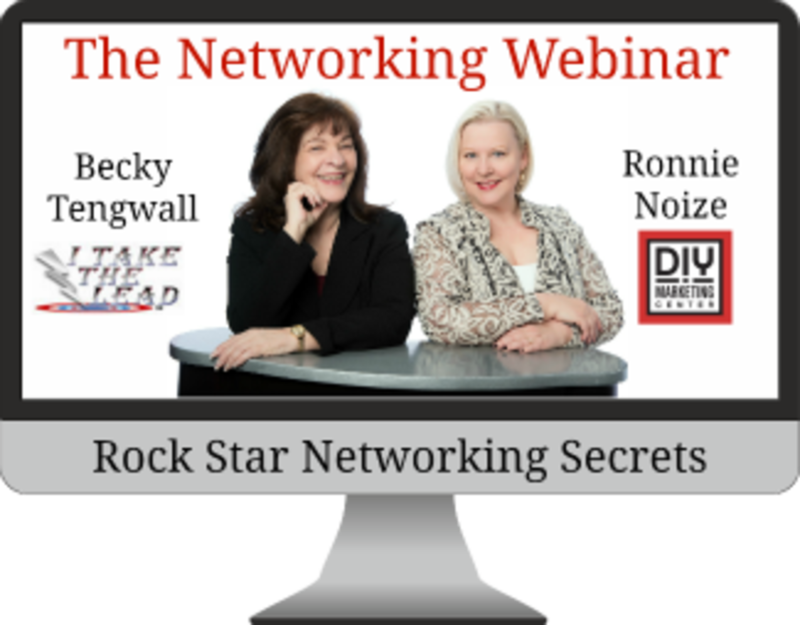 This dynamic, fast-paced webinar is packed with tips, tools, and training to put you in the spotlight at networking events, so get ready to rock! Presented by Veronika Noize, the Marketing Coach, at the DIY Marketing Center inside the Greater Vancouver Chamber of Commerce in downtown Vancouver, Washington. A former musician who toured internationally, Veronika Noize has lived the rock star lifestyle, and is currently a noted expert in the small business marketing community, known for her entertaining speaking style as well as the author of "How to Create a Killer Elevator Speech" as well as "The 30-Minute Networking Secret."